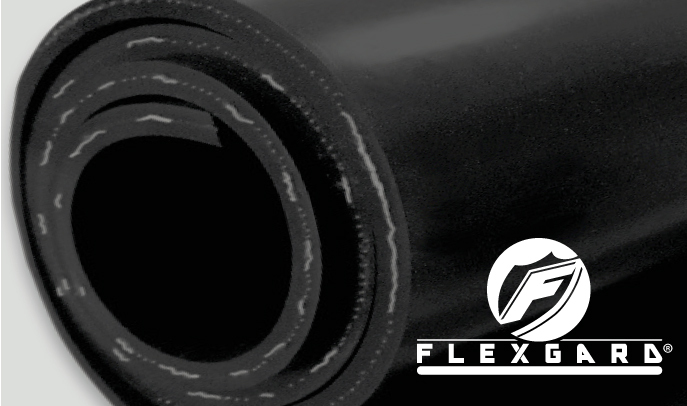 RM Biltrite™ Flexgard® Cloth Inserted (CI) Rubber is reinforced with one or more plies of Nylon 6 fabric. Nylon 6 fabric insertion increases stability during applications using mechanical fastening, and reduces creep during high compression load handling. Cloth-Inserted rubber is available with either SBR or neoprene rubber, with both regular ply (one ply of fabric for each 1/16” thickness) and reduced ply (one ply of fabric for each 1/8” thickness) options.